That’s what my five-year-old said when I served up red, white, and blue pancakes for breakfast. And again when we made star-shaped sugar cookies and Jello in patriotic colors. She announced it at lunch when I sliced up the watermelon, in triangles, per her request. No plain-old, everyday cubed watermelon. Triangles are what people had at picnics. They were exotic and special, making this the best July 4th ever. She made her declaration when she had corn on the cob for dinner and when I popped popcorn to take with us to the fireworks. We lugged our gear to the crowded beachfront and she said it again. Family time at the beach with her grandparents? Yup, the best July 4th ever. And when the jellyfish stung her…. And even when the storm clouds showed up on the horizon and the news spread down the beach from family to family that the fireworks were canceled….it didn’t change a thing. Best July 4th ever. Even then. She never waivered. Never gave up. Her sisters were doubters and naysayers. They whined about the fireworks as if one July 4th without seeing live fireworks somehow destroyed all of their childhood memories and traditions. I stood on the sidewalk while the five-year-old on my left still said, “It was the best July 4th ever” and the child on my right announced it was the “Worst July 4th ever” and desperately searched for alternative fireworks options to redeem the night. She wanted to take back control. You can’t control lightning and thunder showers, and that shocked her little system. July 4th had to happen a particular way. It had to include particular things. And if it didn’t meet every expectation and check off every check box, than it was a big failure. We stopped by the snow cone place on the way home for a final treat. We cracked their glowsticks even if we weren’t sitting outside in the dark and my toddler giggled at the sight. At home, we snuggled onto the couch and stayed up late watching the Washington, DC fireworks extravaganza on the TV, complete with cannon blasts and the 1812 Overture. Maybe July 4th was different this year, but it was also beautiful and fun. Family memories and character-shaping happen most when life surprises you with the unexpected. I told that to my kids as we finish up nighttime prayers. You can’t always control every detail of life. Weather changes. Storms come. Plans get changed or maybe cancelled. Don’t throw a tantrum of disappointment or get worked up in a frenzy of effort trying to salvage the day. Take a cue from their little sister, who celebrated the beautiful and the extraordinary all day long. They nod their heads a bit and confess that it really was a great day. I don’t know if the lesson sinks in, maybe it’s one you learn for a long time, maybe it’s one I’m still learning myself. This…..this right here….the day you are living right this moment….could be the best day ever. All it may take is some watermelon slices or some food coloring in pancake batter–and the joy of a five-year-old determined to celebrate. How we deal with the unexpected, the surprises, the changes in our plans and the disappointments is one of the truest, most essential things about us and the greatest commentary on our faith. This week, I read my youngest daughter a devotional about disappointed disciples, those who turned away from Jesus because His teaching was hard. It required so much. It shocked their system and they just couldn’t keep following Jesus when He didn’t meet all of their expectations. So, Jesus asked the remaining followers, “You do not want to go away also, do you?” (John 6:67 ESV). “Lord, to whom shall we go? You have words of eternal life. We have believed and have come to know that You are the Holy One of God.” (John 6:68-69 ESV). Only Jesus has what we really need. Maybe our plans don’t work out the way we hoped. We planned for fireworks and then it rained on our little parade of expectations. Maybe what Jesus asks us to do is hard. Maybe we’re straining to see the beauty in what God is doing right here and now. So, we press in and we press on. We don’t abandon Jesus and look for answers somewhere else like those followers who left Him. We lean on Him all the more. He is the help we need, no matter what we face. 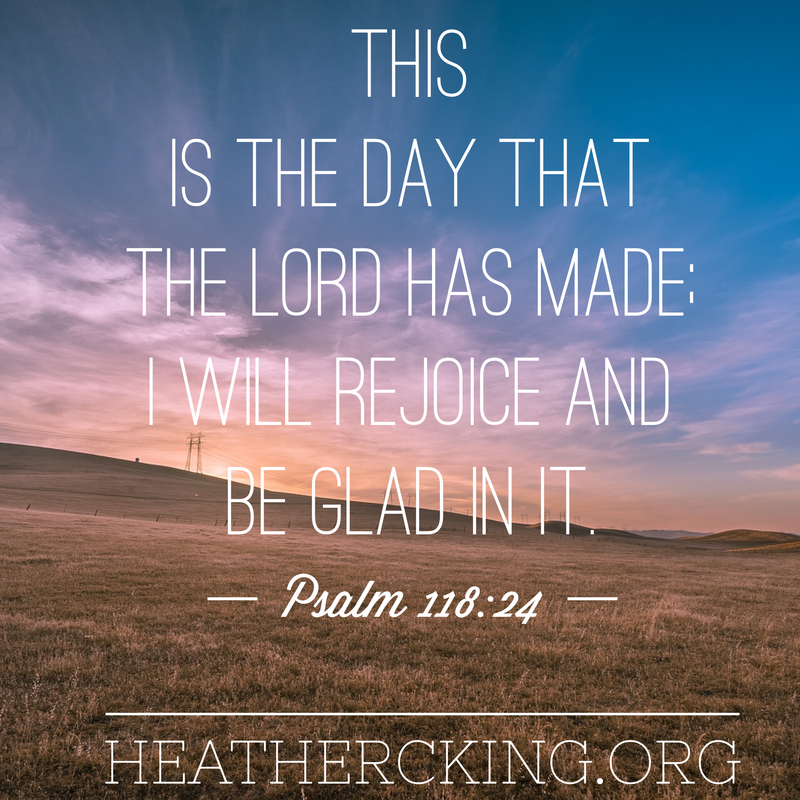 He is how we have joy and hope in every situation. But it requires a letting go….and letting God. And it requires a certain kind of faith, the joy-filled kind, the kind that rejoices in all that God is doing and all that God has done, and the kind that holds on tight and absolutely refuses to let go even when the hardest of times come. Reblogged this on Sandra's Blessings.